TROY has been working hard this summer preparing for their trip to L.A. to record as well as playing regional shows and hosting their Evolution Showcase series. A sold out show in their hometown with Shaman’s Harvest made for yet another great way to celebrate all that The Reality Of Yourself has been through this year as well as the exciting opportunities that lie ahead. 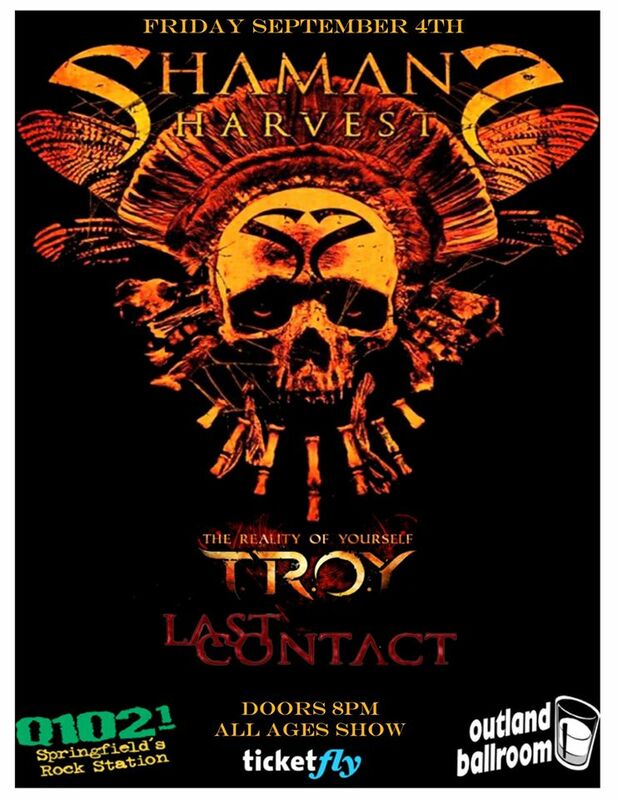 TROY had anticipated sharing the stage with Shaman’s Harvest again ever since they last jammed together in August at a gig in Rolla, MO. Although it wasn’t planned, it turned out to be a two band bill for the night which actually helped to make the evening special. TROY was able to play a little bit more material for their fans and the crowd was able to experience two hard-hitting and up and coming mid-western rock n’ rollers in a more unique setting. 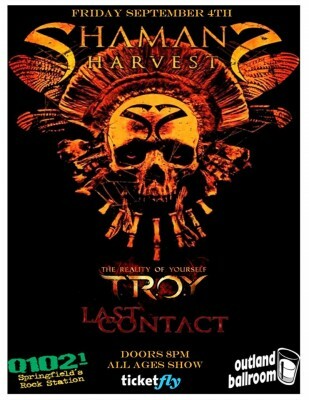 Shaman’s Harvest originated out of Missouri as well, specifically Jeff City, and has been around for over 15 years. 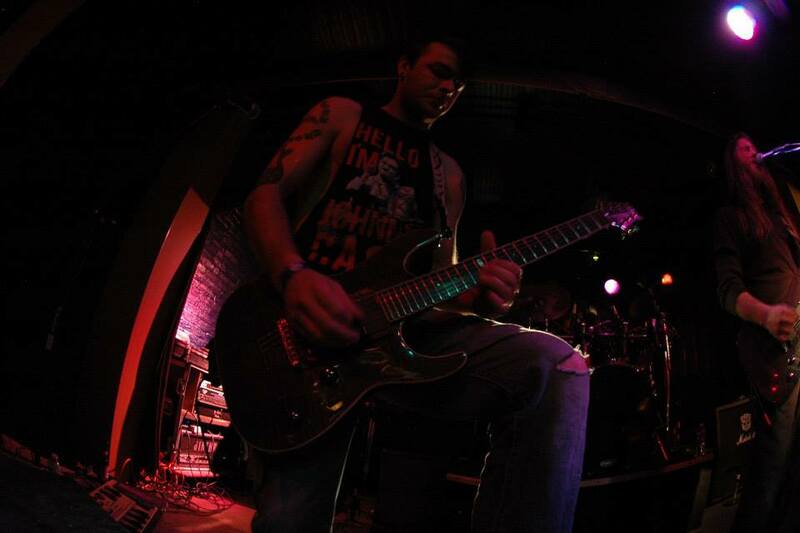 Shaman’s Harvest is commonly recognized by their single “Dragonfly” which reached #16 on Billboard’s Active Rock charts in 2009. They have come back with a punch touring the U.S. over the last year on their latest album “Smokin’ Hearts & Broken Guns”. These guys spent the larger part of the 2015 summer touring with Black Stone Cherry and playing many rock n’ roll festivals. There is no doubt that they are working their way towards something great. The Reality Of Yourself owes Q102, Shaman’s Harvest, and the Outland Ballroom a big thanks for letting us play this show. Thank you to everyone who came out to and helped to make it a sell out show, & thank you for your continued support and love. Rock on and we’ll see you October 2nd!